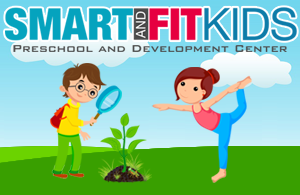 Smart and Fit Kids is one of the very few full service facilities that offer both, preschool and after school programs. We operate Monday to Friday from 7am to 6:30 pm and offer exceptional half day and full day preschool programs. But that is not all, as we also offer Voluntary PreKindergarten enrollment for children between the ages of 1 to 5. 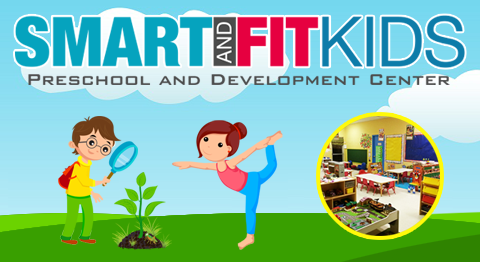 Formerly known as Kinder Kids Academy, Smart and Fit Kids is located on W State Road 84 in Davie, Florida serving the greater Ft. Lauderdale area and schools. Our 6,558 square feet facility is one of a kind and is a family owned business. We believe in the importance of preschool and emphasize on it as a way to build a healthier future for your children. Our preschool houses a state-of-the-art indoor gym, spacious and fully equipped classrooms along with three play areas. Rest assured we deliver the perfect setting for your children to grow socially, emotionally, physically and intellectually. We have taken considerable steps in ensuring our facilities meet and even exceed your expectations. Apart from the new turf areas we have integrated, we have also installed canopies for our students, thus making it a pleasurable learning and fun experience all year round. On the other hand, our indoor gym gives our students the ability to participate in sports and gymnastic classes; this means you will never have to worry about driving them to different locations to avail such facilities. Moreover, children between the ages of 1 to 3 are encouraged to participate in our after school gymnastic programs to stay fit. Additionally, we also offer ‘Fit to Flip Sports Programs’, which include activities like ballet, karate, dance, tumbling and rhythmic gymnastics as well. Apart from following the Broward County Curriculum, our mission is to not only provide exceptional teachers, but we ensure our quality programs strengthen your kids both physically and intellectually, fortifying a better future for them. This is accomplished by delivering a healthy balance of education, nutrition and childcare throughout the day. Furthermore, our educators make sure they teach students about the importance of healthy eating and how specific foods can help them reach their true potential. That being said, it is safe to say your children will have an exceptional learning experience at the Smart and Fit Kids Preschool and Development Center. We take great pride in our educators and programs and do our best to exceed your expectations, even if it means going the extra mile for you and children’s needs and requirements.